Many Japanese companies have launched services that aim to better serve travelers coming to Japan. Of course, one of the biggest obstacles for such travelers is probably the language barrier. And today we’d like to tell you about a new service that aims to address the problem using smartphones. 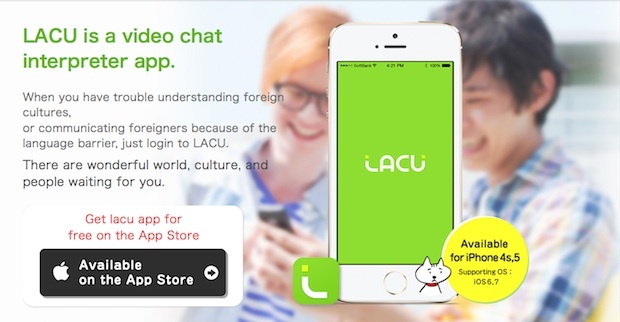 Tokyo-based company Demo recently unveiled a video chat app called Lacu which helps travelers find crowdsourced interpreters and helps them communicate with locals who cannot speak your language. The app is currently available for iOS (there’s an app for travelers and for interpreters), but they may develop an Android version too if all goes well. Using the app, you can easily find a crowdsourced interpreter to help you communicate using the video chat feature. Every interpreter can establish a price for their service ranging from 20 yen to 100 yen per minute, and volunteer interpreters can even do it for free. 40% of the fee goes to the interpreter, and 30% will be collected by both the company and the App Store. 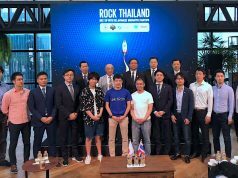 Demo has previously worked with web services like usability analytics tool Ghostrec from Sweden and a content management system from Serbia, bringing them to Japanese and Asian markets. 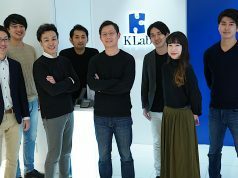 During the localization process, the company invited engineers to their office in Tokyo, but the visitors had trouble communicating with locals, especially on weekends. As a result of this experience, Demo started developing their app. We’ve seen similar services in the past, such as Babelverse or SmileCall. Babelverse is a low-cost but convenient simultaneous service for conferences, but it is less fitting for casual dialogues between people. SmileCall helps you communicate with a receptionist at public venues such as hotels, but it’s provided at a venue owner’s expense, so you couldn’t really bring it with you sightseeing. Demo started acquiring interpreters prior to the app’s launch and has already seen more than 500 downloads and 300 sign-ups from interpreters. 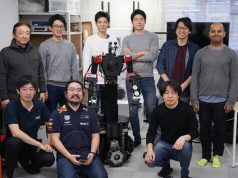 The company’s president and CEO Yoshiyasu Tsunoda told us they are ready to accept over 100,000 users requesting interpretations.